I know what you must be thinking… “Wow, how does he do it? How does he come up with this stuff?” Well, I really can’t say. But I CAN tell you where I came up with that cool Lynx image over there. Hilary Zayed at www.mozaicmama.com. Yep, there’s the link — go check it out! SURF, BABY, SURF!! Here’s a couple interesting (and/or wierd) websites I’ve stumbled across over the years. I’m not going to bother with rating them or giving them any extended descriptions — it’s probably better just to go experience them for yourself. Have fun, and don’t stay lost for too long! HayMan Quarterly – © Copyright 2001-2012 by Marc Hickey. HayMan Quarterly is a product of HayMan Industries. All rights reserved. 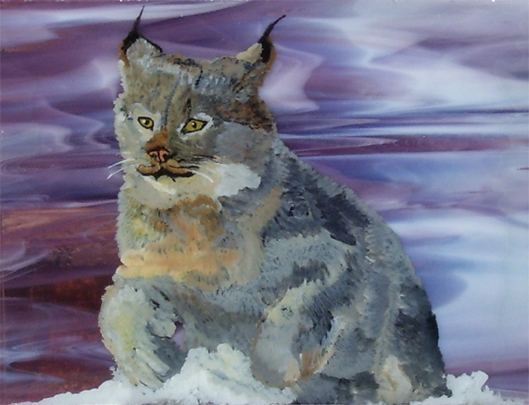 Canadian Lynx image © Mozaic Mama – used by permission.